What is Good Cholesterol & Bad Cholesterol ? What is Good Cholesterol & Bad Cholesterol ? What is Good Cholesterol & Bad Cholesterol ? What is Good Cholesterol and Bad Cholesterol ? 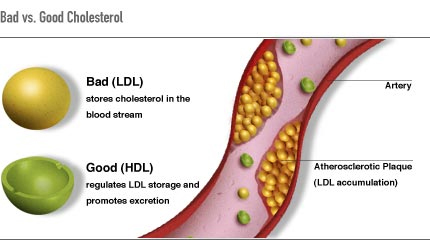 Before knowing what is a good/bad cholesterol ,first we should know what is cholesterol . Cholesterol is a steroid,carried in the bloodstream as a lipoprotien. 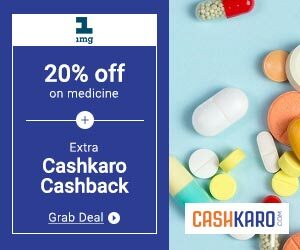 It is necessary for cell membrane functioning & as a precursor to bile acids,progesterone, vitamin D , estrogens , glucocorticoids & mineralocorticocoids.Cholesterol can't dissolve in the blood.It has to be transported to and from the cells by carriers called lipoproteins. HDL is produced by the liver & consists of mainly cholesterol,protein & phospolipid. About one-fourth to one-third of blood cholesterol is carried by high-density Lipoprotein (HDL).HDL is known as Good Cholesterol,because high levels of HDL seems to protect against heart attack.Low levels of HDL (Less than 40 mg/dl for men and less than 50 mg/dl for women) all increase the risk of heart disease.Medical experts think that HDL tends to carry cholesterol away from the arteries and back to the liver,where it is passed from the body.Some experts believe that HDL remove excess cholesterol from arterial plaque,slowing its buildup. LDL cholesterol is produced by the metabolism of VLDL cholesterol & consists of mainly cholesterol,protein & phospolipids that carry cholesterol in the bloodstream from the liver to the peripheral tissues. When too much LDL (bad) cholesterol circulates in the blood, it can slowly build up in the inner walls of the arteries that feed the heart and brain. Together with other substances, it can form plaque, a thick, hard deposit that can narrow the arteries and make them less flexible. This condition is known as atherosclerosis. If a clot forms and blocks a narrowed artery, heart attack or stroke can result.